Botox is an efficient procedure that alters a person’s appearance by aiding them in recovering the youthful look that they have lost with age and time. Upon completion of the procedure, the face is set to transform into one that appears well-rested and re-energised. Because of its various advantages, Botox has become one of the most sought after treatments in Europe with many women opting for this procedure in the UK. Fine lines and wrinkles appearing around the eyes are referred to as Crow’s Feet. These are the result of the long-term use of facial expressions, as well as the movement of facial muscles in the specific area in which the Crow’s Feet are found. The good news is that these lines are easy to treat with a simple Botox procedure. These treatments are designed to make you appear well-rested as they minimise the appearance of wrinkles around the eye area. This is achieved by weakening the muscles in charge of squinting the area surrounding the eyes. Within no time, this treatment will leave you looking revitalised by eliminating the tired look on your face. Individuals who have lines or wrinkles in areas close to the eyes, sandwiched between the eyebrows tend to look sad or upset. To other people, this look may be perceived as being unfriendly thereby affecting your social life by giving others a wrong impression of yourself. In order to prevent this situation from getting worse, you may undergo a quick and easy Botox treatment that will leave you with a well-rested appearance. For such a case, a simple Botox treatment is preferred over an eyebrow or entire face lift which may be deemed unsafe, expensive and entail a long period of recovery. 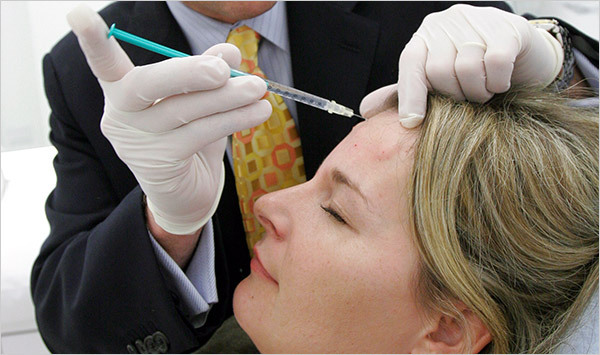 Botox treatments may also be performed for purposes of eliminating or reducing the wrinkles that appear on the forehead, which tend to make people look older. As people begin to age, the muscles they use for the creation of facial expressions begin to become apparent and will deepen with time, as they slowly become permanent wrinkles on the facial skin. With this procedure, you are able to alleviate these muscles by relaxing them. This way, you can achieve a more youthful looking skin that is less rigid as well. Botox is recognised as being acceptable for several non-cosmetic problems such as headaches, unmanageable eye-twitching and extreme sweating. Botox may be used to treatment for the obstruction of nerve impulses which may cause involuntary twitching of the muscles. This treatment may also be utilised to block the body chemicals that induce sweating.